Refresh in the secluded, creekside setting of the Moondance Cabin, a Panabode Log Cabin with classic mountain charm and character. The warm and cozy wood log interior and the fireplace will be the perfect place to kick back and make the most of your Mt Hood vacation. 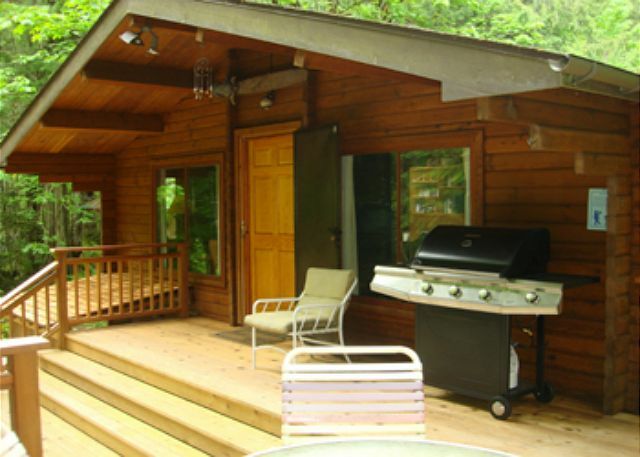 Prepare a tasty dinner in the fully-equipped kitchen or grill on the gas BBQ on the creekside deck. You will want to relax on the private back deck accompanied only by the sounds of the flowing waters of Clear Creek and the light of the moon and stars. 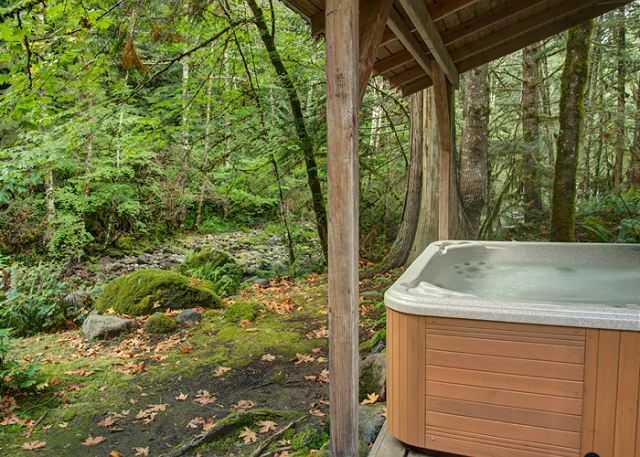 Soak in the new 6-person hot tub after a day of hiking, biking or playing in the snow at Mt Hood. Enjoy the view of the woods and the creek from the windows that surround you in the living room or cozy up in front of the wood-burning fireplace. You will be just minutes for dozens of miles of trails in the Mt Hood National Forest in one direction. Or head the other direction to restaurants, stores and attractions making this location ideal for your vacation basecamp. 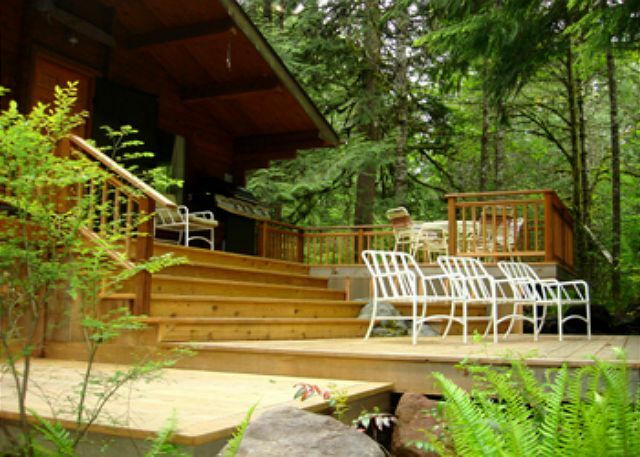 The Moondance Cabin is popular for romantic retreats including proposals, honeymoons and anniversaries; however the cabin is also suitable for two couples or a small family. Two bedrooms, each with a queen bed and two full bathrooms plus the living room sofa bed accommodate up to 6 guests comfortably.